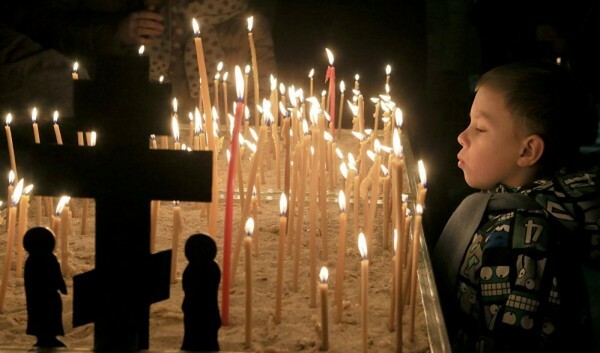 On the night of January 7, Orthodox Christians celebrate one of the most important religious holidays – Christmas. Hundreds of thousands of people took part in holiday masses in churches across Russia. 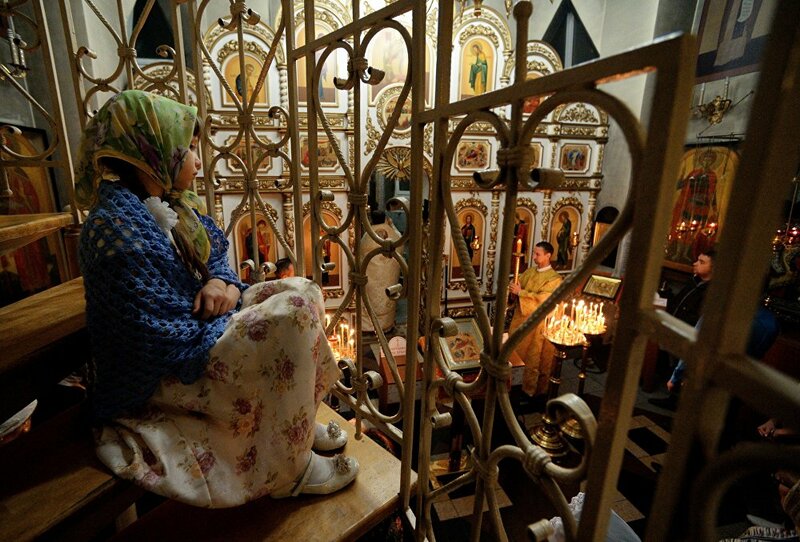 Above: Believers in the Cathedral of the Exaltation of the Holy Cross in Omsk during a solemn liturgy dedicated to the great feast of Nativity. Russian President Vladimir Putin took part in a Christmas mass in the Church of the Intercession, in the village of Turginovo, Tver Region. His parents were baptized in this church. Christmas is observed most commonly on December 25, but in some churches, including the Russian Orthodox Church, it is celebrated on January 7. 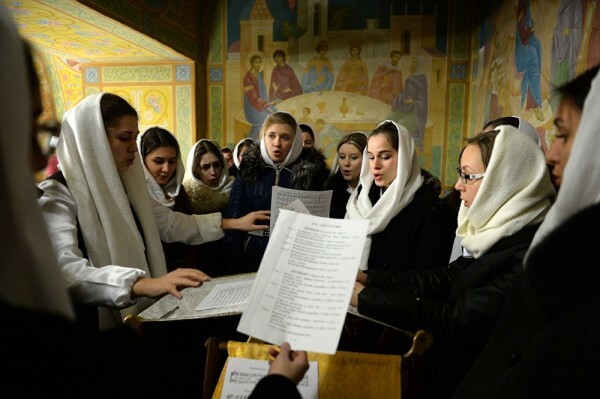 Above: A church choir sings during a solemn liturgy dedicated to the great feast of Nativity at the St. Trinity Cathedral in Yekaterinburg. Christmas is preceded by Advent or the Nativity Fast which starts on November 28 (November 15, according to the Julian calendar) and runs until January 7 (November 25). 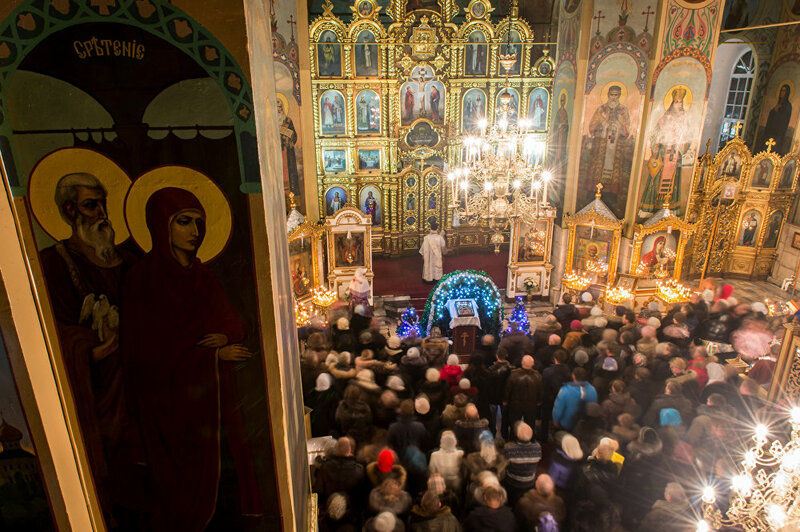 Above: A Christmas mass at the Cathedral of St. Andrew the Apostle, in Vladivostok. 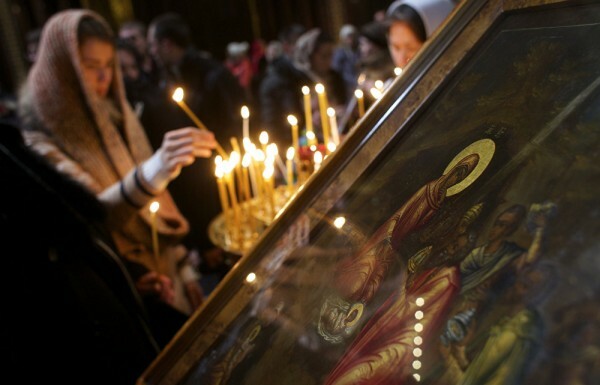 Festive Christmas services were held in 389 Moscow Orthodox churches and monasteries. They involved over 300,000 people. Above: A Christmas mass at the Cathedral of Christ the Savior, in Kaliningrad. President Vladimir Putin congratulated Christians and all Russian citizens celebrating Christmas. 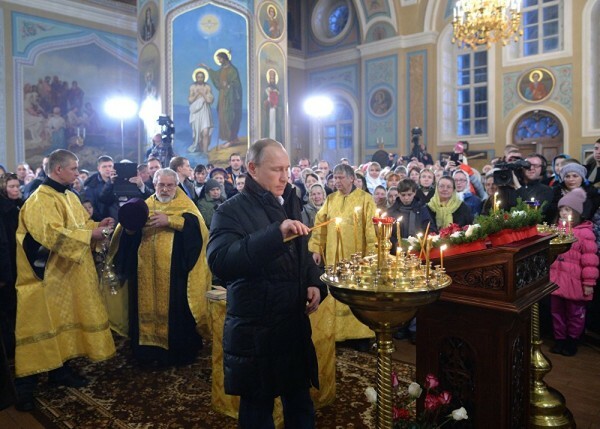 Above: Russian President Vladimir Putin (center) lights a candle prior to a Christmas service in the Church of the Intercession in the village of Turginovo, Tver Region, January 6, 2015.
ccording to the Church code, Advent is succeeded by svyatki (holy days), a time of spiritual enlightenment when the feast continues. Above: A young believer during a festive mass at the Cathedral of St. Andrew the Apostle, in Vladivostok. On the night of January 7, Russian Patriarch Kirill held a Christmas mass at the Cathedral of Christ the Savior, Russia’s main cathedral. 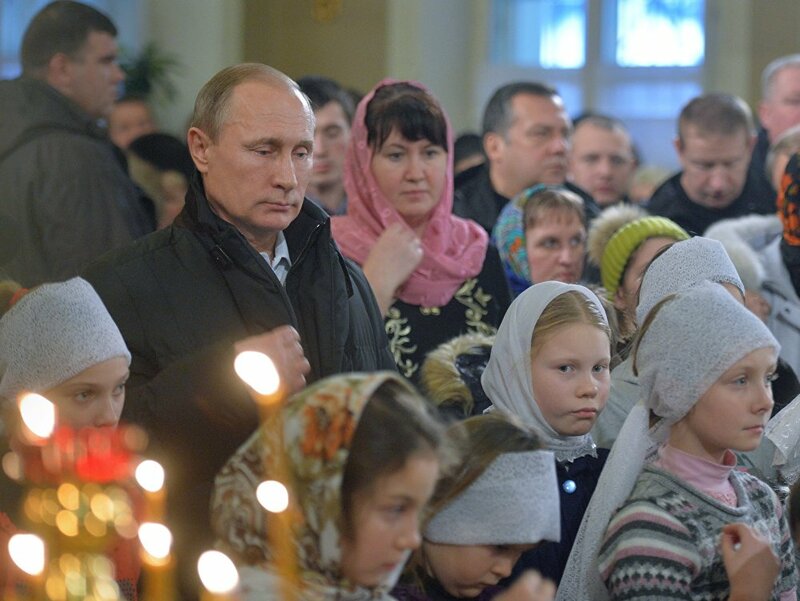 Thousands of believers, including Russian senior officials, attended the service. 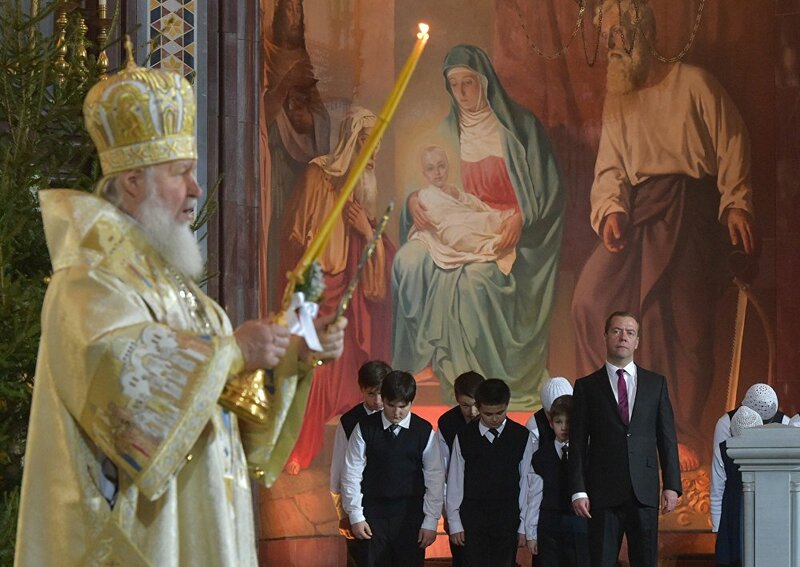 Above: Russian Prime Minister Medvedev attends a Christmas service in the Cathedral of Christ the Savior in Moscow. Left: Patriarch Kirill of Moscow and All Russia. Since 1917, the Soviet government which adopted the policy of atheism banned Christmas celebrations and even any mentions of it. Christmas masses were held secretly. 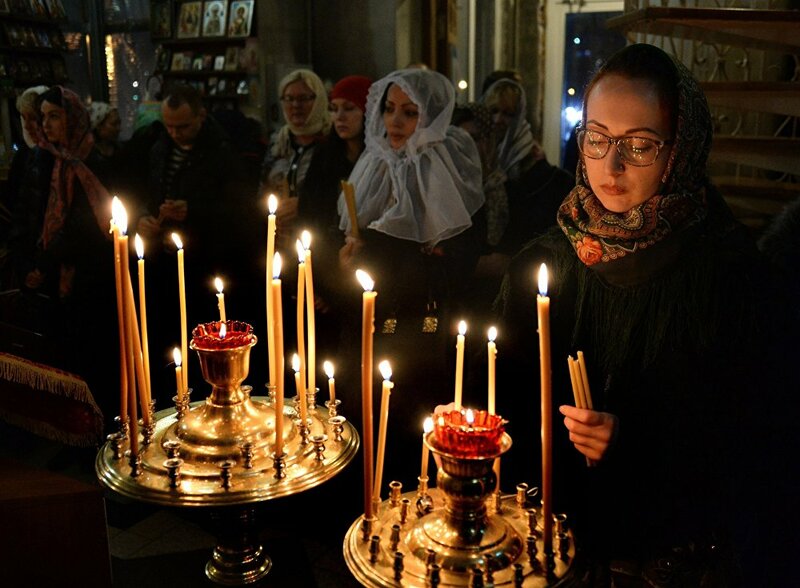 Above: Russian Orthodox believers light candles before the Christmas Mass in the Cathedral of Christ the Savior in Moscow, Russia, on January 6, 2016. 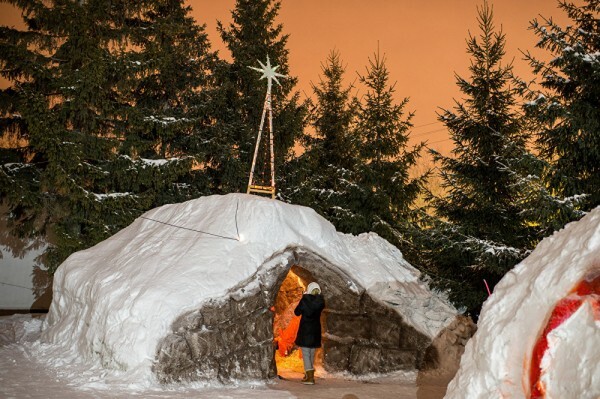 After the USSR collapsed, Christmas has been a Russian national holiday since January 14, 1991. 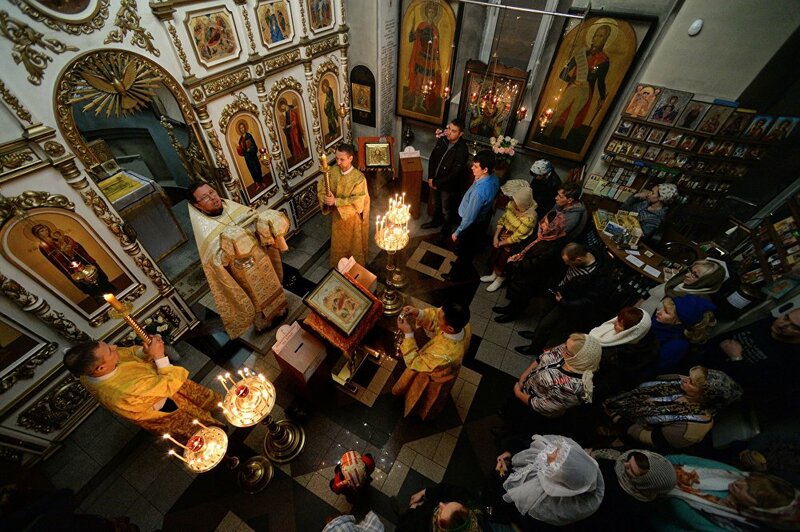 Above: Outside the Cathedral of the Exaltation of the Holy Cross in Omsk during a solemn liturgy dedicated to the great feast of Nativity. “This festival gives us joy and awakens the brightest feelings and thoughts. It unites us around the principles of kindness, love and mercifulness,” the president said in his greeting. 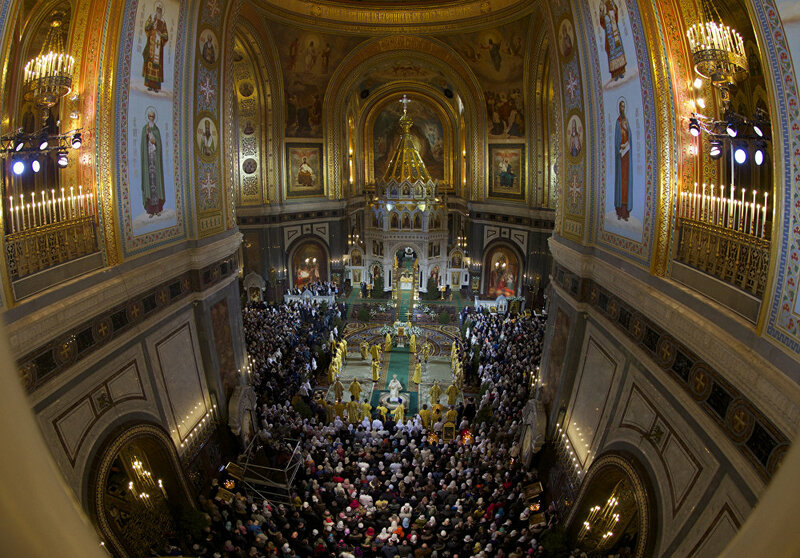 Above: Russian Orthodox Patriarch Kirill (center) serves the Christmas Mass at the Cathedral of Christ the Savior in Moscow, Russia, on January 6. 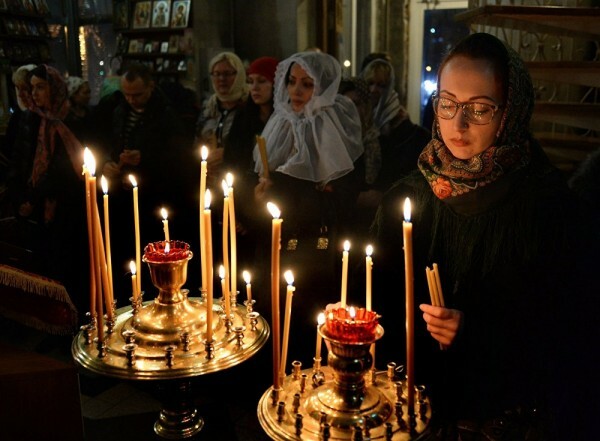 Above: Believers during the Orthodox Christmas service at the church of St. Andrew the Apostle in Vladivostok.